With the ever increasing popularity, sophistication and internet-ready nature of many mobile phones, comes an increased risk from data loss, identity theft and general costly misuse. Over 5000 mobile phones are allegedly stolen each day in the UK, not to count the many attempts at 'hacking', 'cracking' and remote attacking. A mobile phone is no longer just that. It's a web browser. It's a camera. It's a calendar and personal organiser. It's a data store. In combination with the several thousand apps available for the various platform types, it's also a utility capable of once cumbersome and time consuming tasks, games and activities. Hence the newly termed 'smart' phone. This object in your back pocket is basically a tiny laptop. Most smart phones will generally have some basic security measures built in, such as a console lock which is pin protected. Is this used? Is it ever changed? A recent survey by Vodafone suggested that 50% of users don't change the pin regularly. The pin itself is more of a physical measure to act as a deterrent to thieves and opportunistic call making. However, there are other risks other than physical. What about hacking? Most smart phones can connect to a wifi network just like a laptop, but a phone is more likely to be carried and moved and therefore in contact with multiple networks through out the course of a day. Most phones allow wifi scanning and auto-connection, especially to well known network and hotspot names. Once connected the phone will more than likely attempt to download email messages, update social networking activities and so on. All of which pose a threat, either from packet sniffing of the network traffic or even introducing remote malware and phone manipulation from the untrusted network. Due to the high value of phone data - thinking primarily personal contact information - the risk of malware proliferation is high, not to mention the cost of stealing individual contact records. The rise of the smart phone for business use and the 'always-connected' culture, leads to many phones being used for email. Whilst from a security perspective sometimes only the header is downloaded, many use IMAP causing a local copy of the mail to be stored on the memory card of the phone, increasing the risk of theft or duplication. The rapid increase in the number of mobile phone applications or apps, has lead to concerns surrounding software quality and assurance. Whilst many vendor supplied app portals like Apple's iTunes store or Nokia's Ovi Store provide a vendor and basic product vetting process (use of signing, QA etc) it is still very easy for an indie-developer with no history to create a multi-thousand customer app. Independent portals such as GetJar also allow a quick and simple way for developers to promote tooling without a great deal of testing performed from a security perspective. As phones become increasingly powerful and start to resemble the 'netbooks' of tomorrow, the reliance of a fully fledged mobile operating system will allow more sophisticated anti-viral and anti-malware techniques to be employed. 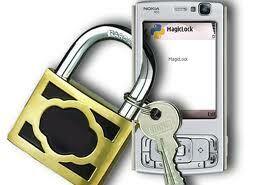 Hopefully this will enhance mobile security, and not reduce the vigilance and approach of the user.